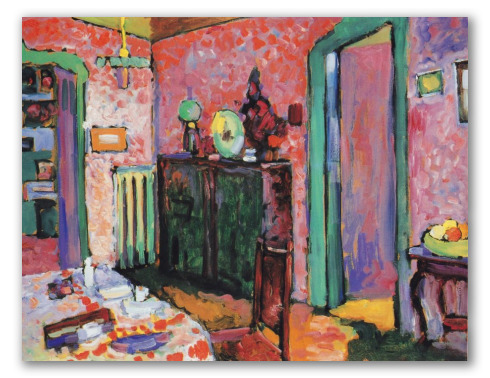 "My Dining Room" by Kandinsky, Originally Painted in Cardboard. My Dining Room is an oil painting over cardboard. It was painted by Wassily Kandinsky in 1909. 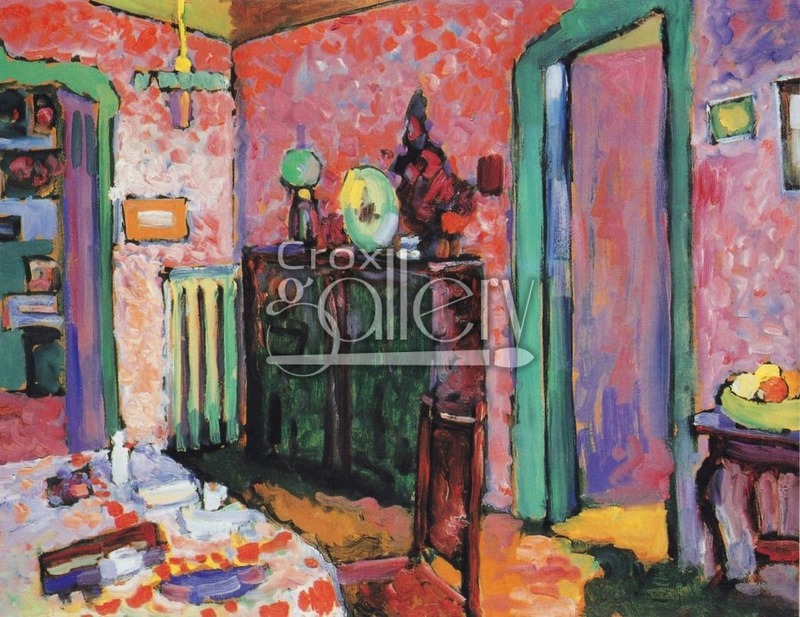 It is characterized by an explosion of colors by which the artist gives light to dark places, in this case the artist’s own dining room. The painting currently belongs to the collection of the Lenbachhaus Gallery, Munich.